https://apis.google.com/js/plusone.js Your child is unique and special. Make him feel extra special by creating his own personal space in the place he spends the most time, his bedroom. Your kid’s room should reflect his personality. Below are a few ideas on how you can create the perfect bedroom for your child. When shopping for children‘s furniture you want something that is strong, sturdy and affordable. Visit several stores and check prices online. Make sure the store that you shop at has a huge selection of children’s beds. 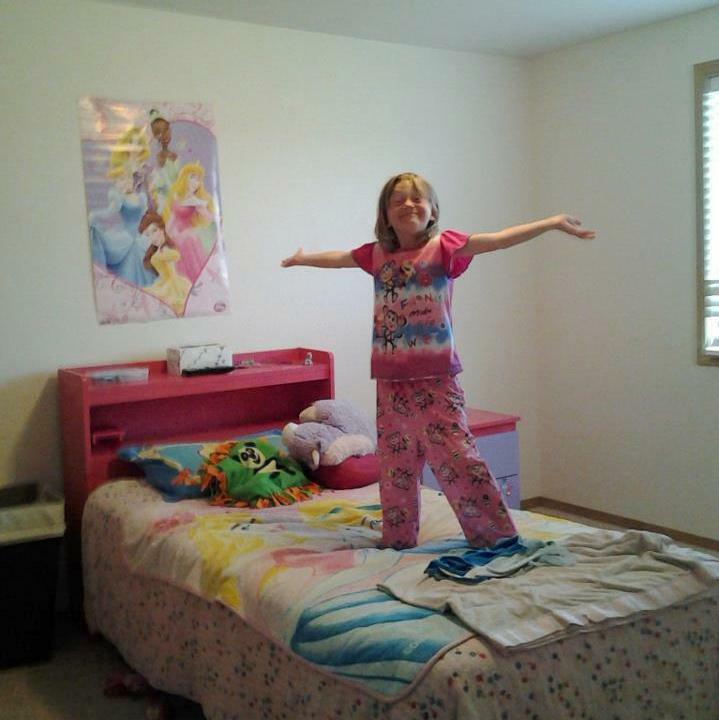 A loft bed with a desk is a wonderful choice for your little princess. Something more traditional works well for a boy’s bedroom. If you have two kids sharing a room having a bunk bed will free up a lot of space. A lot of kids’ beds come with matching dressers and night stands. If your child is school age investing in a desk for his room will create a nice place for him to do his homework. Does your son love watching football with his Dad? Or does he prefer science and books? Is your little girl a princess and always dress in pink? Or is she a tomboy and loves to get dirty and play sports? Children’s bedding sets and curtains come in all different colors and themes from Disney, to sports or colorful patterns. Shop around and include your child in the selection process. Have your child help you find posters with characters that he likes. For around $5 you can find a wide selection of posters at your local department store. You can add the finishing touches to your kid’s room with a colorful floor rug. Decorating your child’s room is a lot of fun and a great way to show him how much you love him. He will have his own personal space and you can feel good knowing that your child is happy.